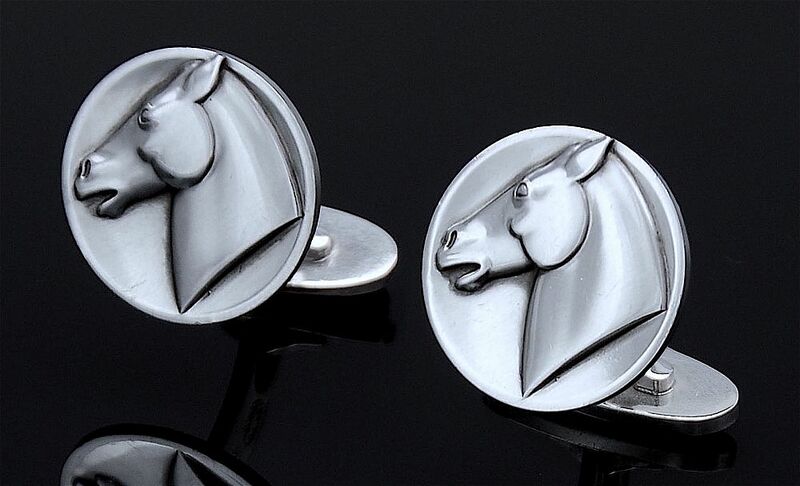 And another elegant pair of silver Georg Jensen cufflinks! The round top is decorated with a horse's head. Each cufflink has a curved arm with a "whale tail" fitting. One side of the arm bears the oval dotted edge Georg Jensen cartouche (1945 to present day) and the words "925S Denmark" and the other side is stamped "63". 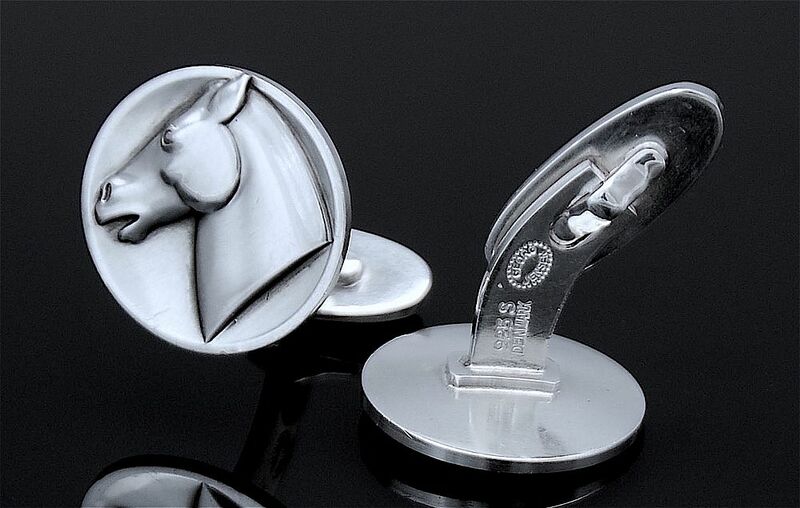 Georg Jensen produced a larger version of these cufflinks - this pair is the smaller size.